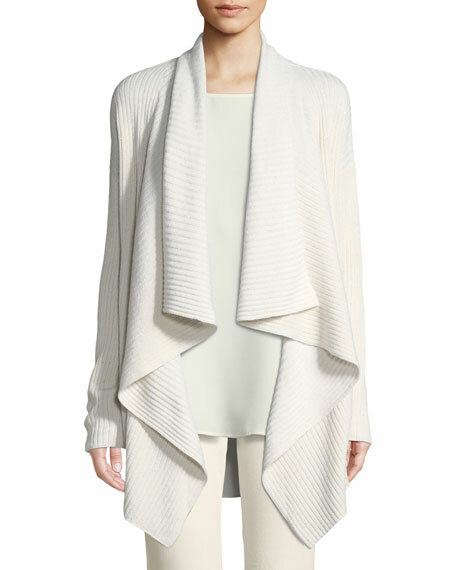 Natori "Zen" cardigan in French terry knit. Balenciaga cardigan in ribbed knit with allover logo print. Crew neckline; button front. Long sleeves. Fitted. Hem hits hips. Nylon. Made in Italy. 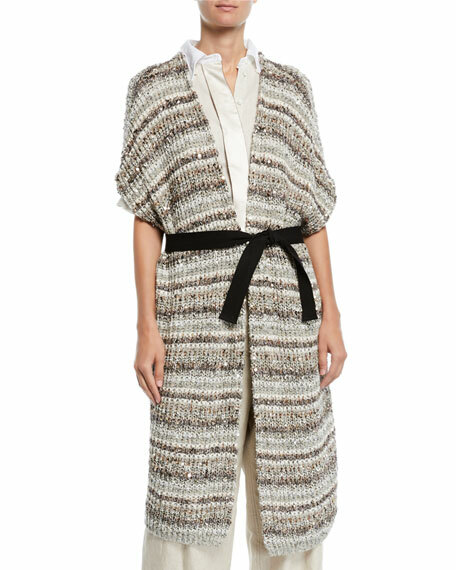 Brunello Cucinelli cardigan in striped cotton netting with sequins. Removable belt. Cap sleeves. Relaxed, draped fit. Cotton/nylon. Made in Italy. 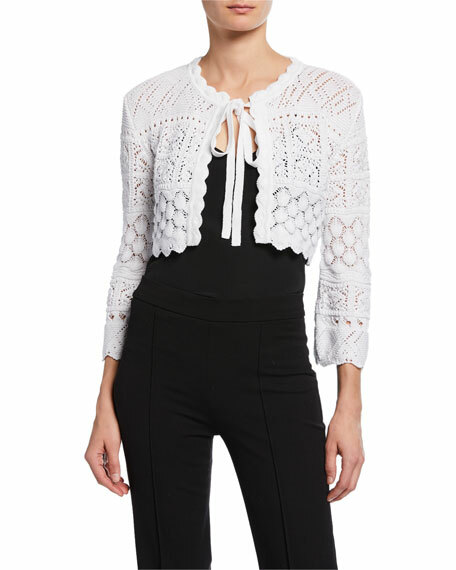 Lafayette 148 New York sequined flannel waterfall cardigan. Open front. Long sleeves. Relaxed silhouette. Waterfall hem. Below-hip length. Dry clean. Silk/wool/Lurex metallic fiber/sequin. Imported of Italian material.